The Ubisoft studios have wanted their Assassin’s Creed games to be used as teaching tools for years. Teachers have requested that, too. At the beginning of 2018, the “Discovery Tour” will be added for free to the new Assassin’s Creed Origins game. All fights, conflicts and missions are removed in the Discovery Tour, and you’re free to explore the landscapes as you please. 20 audio tours will guide you through different areas of the game, teaching you about mummifications, the building of the pyramids, or Cleopatra. I had a look at the Discovery Tour and wrote an article about it. 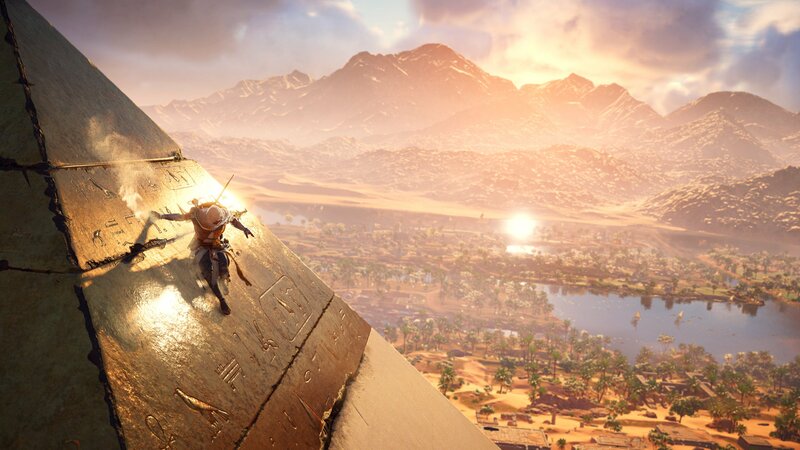 It also mentions Ubisoft’s new project (in co-operation with Google) on applying machine-learning to the hieroglyphs (the link is in the article).